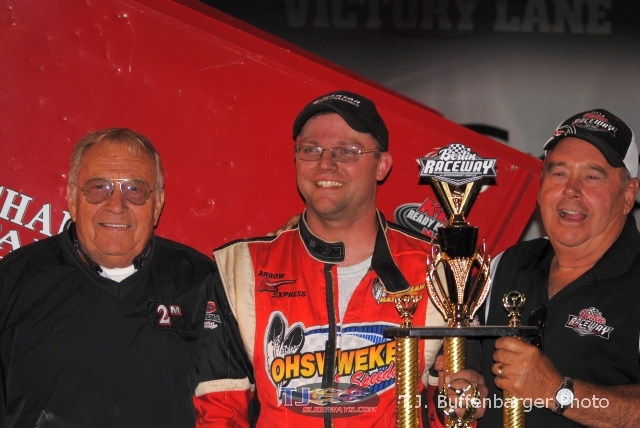 Marne, MI – (September 26, 2014) – Dustin Daggett has Berlin Raceway figured out. Daggett continued his perfect record in feature events at Berin after winning Friday night’s Engine Pro Sprints on Dirt presented by ARP feature event. Daggett took the lead at the start and never relinquished it, lapping cars into the top five by the end of the feature. The win worth $5,000 was Daggett’s fourth SOD victory of the 2014 season and seventh overall for 2014. Daggett started on the front row with Jared Horstman for the feature event. Daggett took the lead immediately leaving Horstman and Hannagan to race for second. Following a caution for Brett Mann stopping in turn two Daggett pulled away and quickly started to overtake lapped traffic. Hannagan worked past Horstman on lap 21 and started to reel in Daggett in thick traffic. Just when it appeared Hannagan might need a caution, it turned out he brought one out himself with an incident between turns three and four. Hannagan had to retire pit side. This lined up Horstman behind Daggett for a restart with just three laps to go, but Daggett was up to the challenge and motored to the victory. Horsman held on for the runner up stop while Ruan Ruhl topped a spirited battle with Max Stambaugh for the final podium position. Sauder rounded out the top five after starting 19th. Lamberson, Andy Chehowski, Daggett, and Hannagan won heat races. Brett Mann won the B-Main event. Hoosier Racing Tire Heat Race #1 (8 Laps): 1. 27 – Brad Lamberson, 2. 6 – Max Stambaugh, 3. 07 – Dain Naida, 4. 46 – Robert Huisken, 5. 21 – Kirk Cheney, 6. 19J – Linden Jones, 7. 10S – Jay Steinebach, 8. 4S – Eric Smith. All Star Performance / Comp Cams Heat Race #2 (8 Laps): 1. 20A – Andy Chewhoski, 2. 49 – Shawn Dancer, 3. 21T – Troy Chehowski, 4. 23 – Devon Dobie, 5. 29 – Mark Aldrich, 6. 19 – Brett Mann, 7. 23 – Joe Geibe. ARP Fasteners Heat Race #4 (8 Laps): 1. 22H – Randy Hannagan, 2. 16 – Ryan Ruhl, 3. 11 – Chase Rienour, 4. 00 – Dane Lorenc, 5. 83 – Kyle Sauder, 6. 2T – Ralph Brakenberry, 7. 7 – Kyle Pitts. Engine Pro B-Main (10 Laps): 1. 19 – Brett Mann, 2. 89 – Chris Pobanz, 3. 83 – Kyle Sauder, 4. 4 – Craig Karazim, 5. 10S – Jay Steinebach, 6. 7K – Kyle Pitts, 7. 21 – Kirk Cheney, 8. 23 – Joe Geibe, 9. 19J – Linden Jones, 10. 35 – Mark Strpko, 11. 187 – Gavin Hunyady, 12. 29S – Mark Aldrich. DNS: 4- Eric Smith. 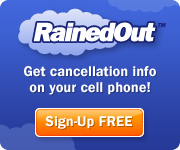 This entry was posted on September 26, 2014 at 10:26 pm and is filed under Uncategorized. You can follow any responses to this entry through the RSS 2.0 feed.